Traffic safety and prevention of traffic accidents are very complex issues. 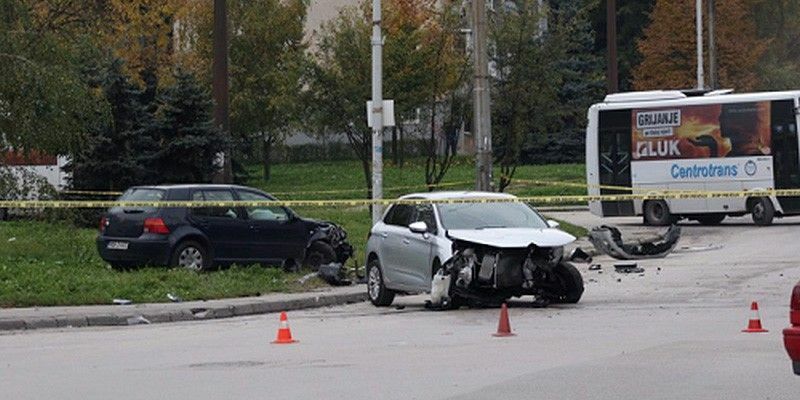 In order to achieve results in this area, it is necessary to identify causes of these accidents, traffic safety improvement methods as well as its impact on road users. Traffic accidents are the leading cause of death of young people age 15 – 29. If this trend continues, by 2030 the traffic accidents will be the fifth most common cause of death of world population, more frequent than AIDS, lung cancer etc. On March 2, 2010 the UN General Assembly declared Decade of Action for Road Safety 2011 – 2020 whose primary objective is to decrease the number of traffic deaths globally by 50%, which would result in saving five million lives. Around 380 people die every year on BH roads, while 11.000 gets injured. According to the official statistics, the ratio of road fatalities in BH is around 10, 3 against 100.000 citizens which is almost three times higher than in Western Europe. A study found that every year only the Federation of BH faces about 250 fatal casualties and over 6.800 injuries in traffic accidents. With regard to total costs of medical treatment, property damage, administrative work, productivity loss etc., the economy of FBH is losing over EUR 400 million a year (more than 5% of its annual GDP). • Costs per accident with severe injuries BAM 374. Inclusion of BH road network into the European road network system implies introduction of modern technologies, familiarization with technical and technological trends and adjustment to the European market in order to achieve better quality, better road safety and service efficiency, otherwise impossible without the additional institutional strengthening and organizational development. NSM – Network Safety Management.